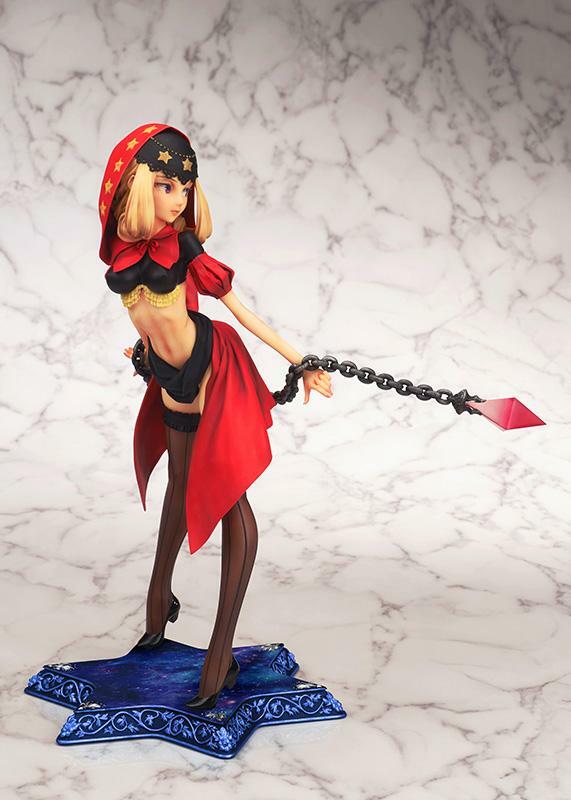 Originally released by Yamato in 2010, toy manufacturer Flare reissues Odin Sphere Velvet once again in Spring 2019. 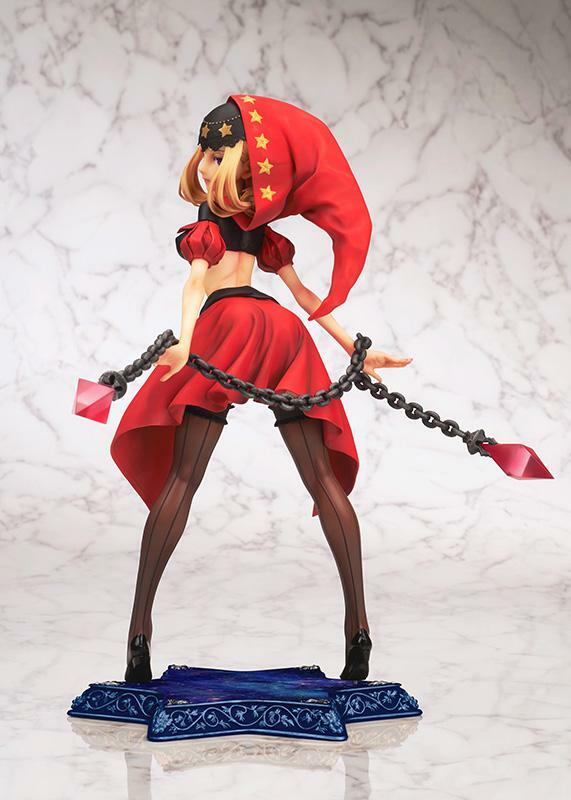 Velvet's story begins in the second chapter of the OdinSphere game but her full drama is explored in the fifth chapter where Velvet's background and continuing tale is fleshed out. She's a princess without a home whose kingdom was razed by a weapon known as the Crystallization Cauldron which was created by her father, King Valentine. In the game, she works to prevent the coming of Armageddon by disabling the Cauldron. 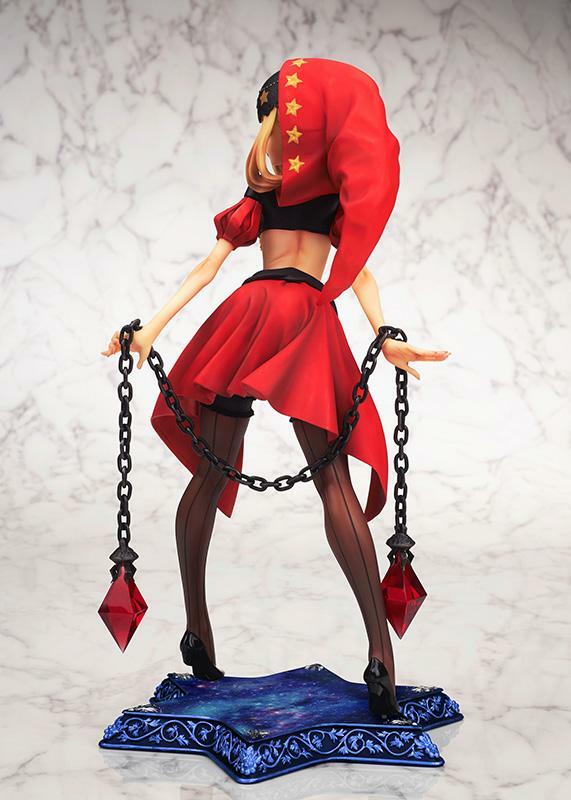 The 1/8 scale rendition of Velvet measures 25cm or 9.84" tall. 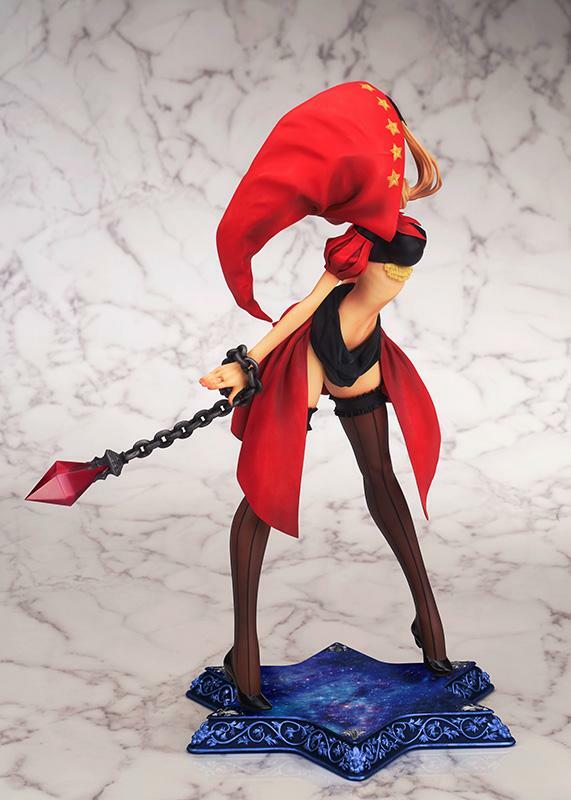 Velvet wears her crimson outfit which may be compared to a gypsy's costume. A jester's cap is mounted atop her head while a tiny top covers her shoulders and bosom. A sash of black material rings her waist and a red slip of material serves as a dress to cover Velvet's backside. Note the dress only encircles her rear and black hosiery finishes up Velvet's choice of garb. She's on her tiptoes which may indicate readiness and anticipation while her hands hold a Psypher Chain. Preorders are welcome to ship in late May 2019. 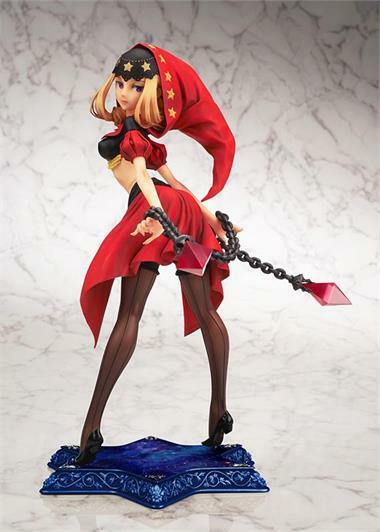 Characters from the OdinSphere and Princess Crown video games are shrunken, deformed, and molded into non-scale representations of themselves in Megahouse's new trading figure set.